Send this lasting display to a loved one today. 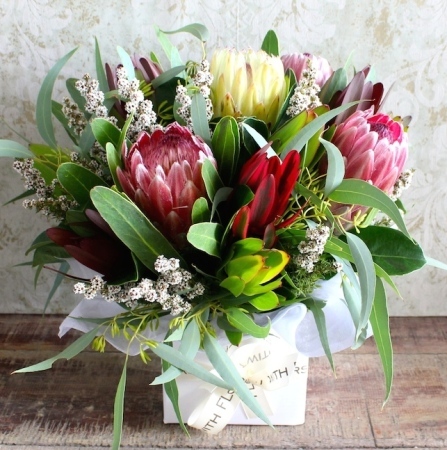 This classic mix of bush blooms makes the ideal, long lasting gift for any occasion. A great way to say Happy Birthday or Get Well Soon, this Native box arrangement will look beautiful in any home or workplace. Order this gorgeous arrangement today by 2pm and receive same day local delivery from Florist With Flowers.